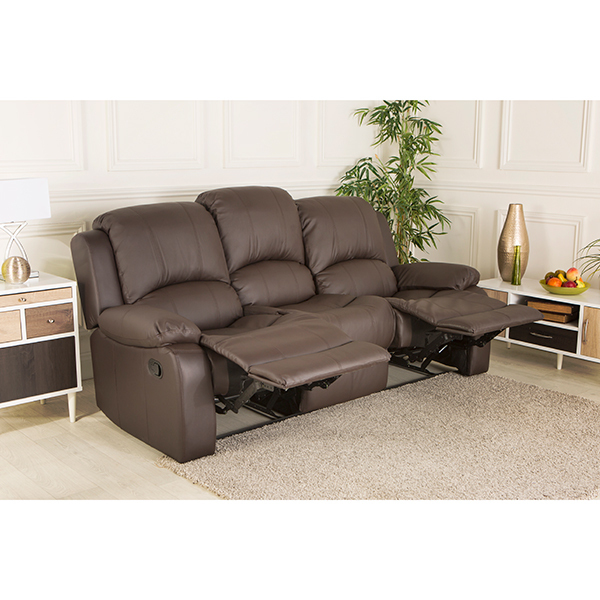 Sit back and relax with The Furniture Collection - Chicago Bonded Leather Manual Recliner Three Seat. This recliner chair takes putting your feet up to the next level. Reclining motion is operated by a button on the outer arms, the user pushed their weight against the back of the chair and recline function is activated, the footrest will rise up and the backrest will tilt backwards. There are two fixed positions of recline. The first is the smallest increment of recline and the second is largest increment of recline, so the user is almost lying down. 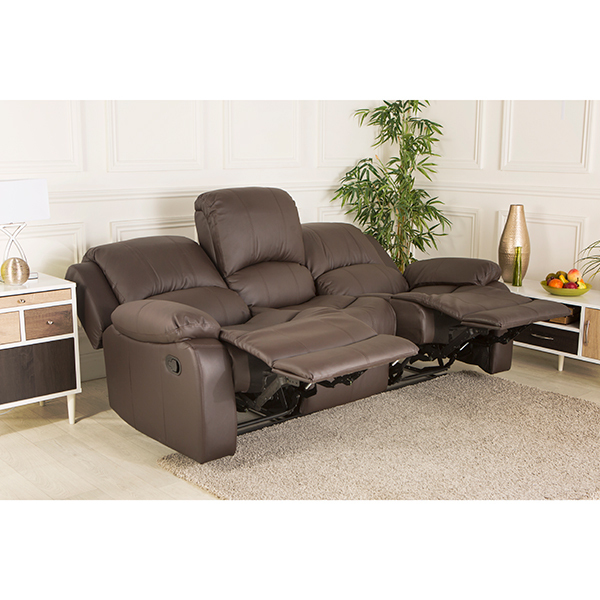 All recliners also have continuous recline function, where the user can select any position between the two fixed points and the user's weight will hold the chair there comfortably. The footrest is up in the recline positions. 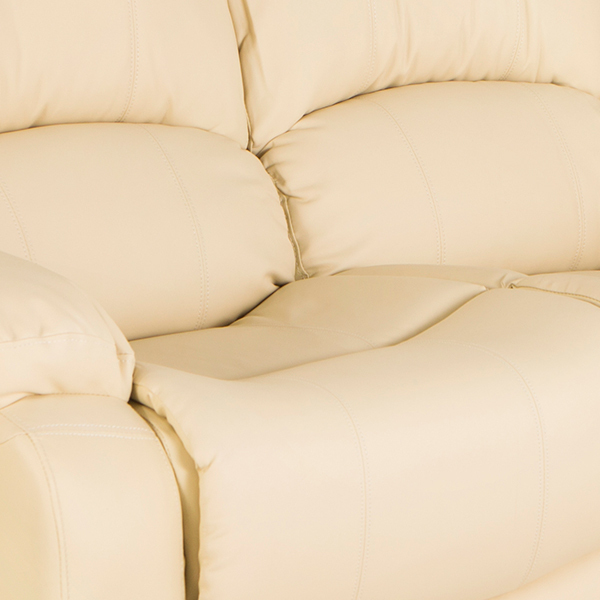 All contact areas (the back, seat, arms, and front leg support) are covered with bonded leather. 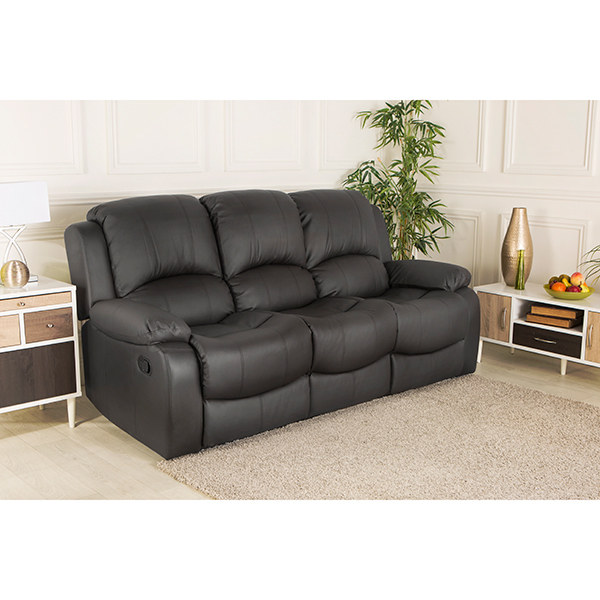 Back and outward sides of the sofa are covered with matching faux leather, which looks and feels the same as the seating area. Note: Delivery restrictions apply, this product cannot be delivered to Northern Ireland, Highlands, Islands and the Outer Hebrides. Please see Delivery and Returns tab for a full list of postcode restrictions. Courier will contact you by text within 3-5 days to book your delivery. Your confirmation email from the supplier has a tracking number so you can also track your order online. Direct Dispatch – cannot deliver to Northern Ireland, Highlands, Islands and the Outer Hebrides. Supplier will contact customers direct by text to confirm delivery of Products Ordered. Customer will receive a text notification to confirm delivery slot Product will be unpacked and packaging removed, if required a signature will be required on receipt of delivery. If customer is unhappy with their purchase the courier will take it away. If product has been signed for, customer will need to contact Ideal World customer service to arrange collection. Established for over 10 years with an extensive customer base of both major and Independent retailers, the Furniture Collection is family-run business, which is dedicated to offering an inspiring, imaginative range of high quality furniture and to put gorgeous, stylish furniture within everybody's reach.